I made a batch of morning glory muffins this week and they’re perfect- they remind me a lot of the morning glory muffins at a cafe in the town I grew up in. I’ve included the recipe below in case any of you want to try it. 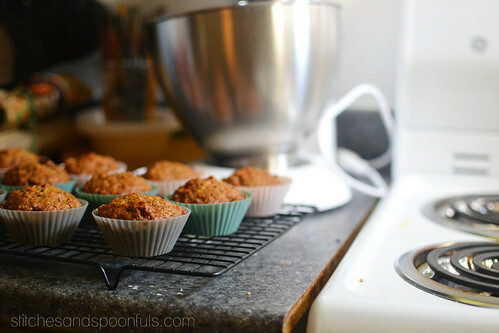 The reusable silicone muffins cups were a Christmas gift and I love them! I think they’re from Ikea but I can’t seem to find them anywhere online. They’re quite similar to these ones though. 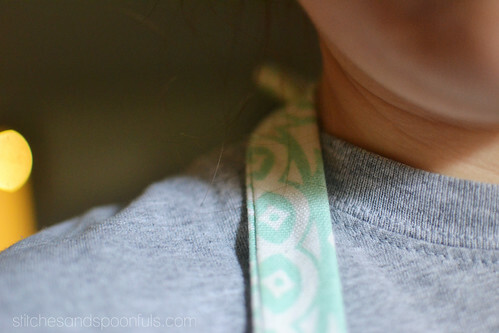 You’ll also notice a sneak peak of my new apron in the photos above! G made it for me as a Christmas gift and I love it. More pictures to come. Preheat oven to 375 F (190 C / Gas Mark 5). Place raisins in a bowl and cover with boiling water. Let sit while preparing the rest of the recipe. Combine flours, sugar, baking soda, spices, and salt in a large bowl. 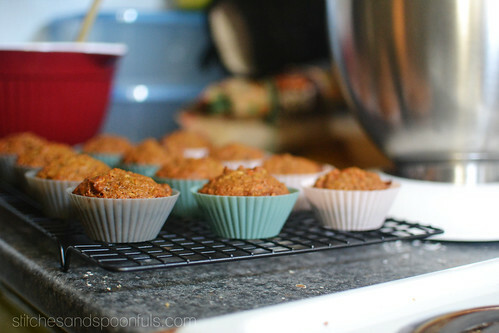 Add carrot, apple, coconut, sunflower seeds, and wheat bran and mix throughly. Combine eggs, oil, vanilla, and orange juice in a small bowl. 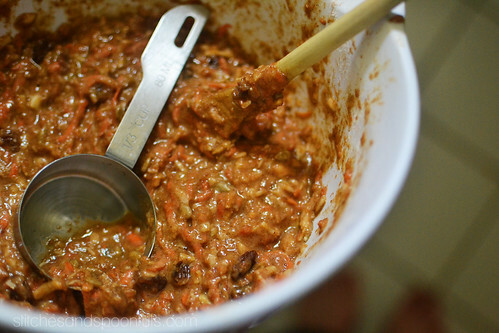 Add wet ingredients into large bowl and mix thoroughly. Drain raisins and stir into batter. 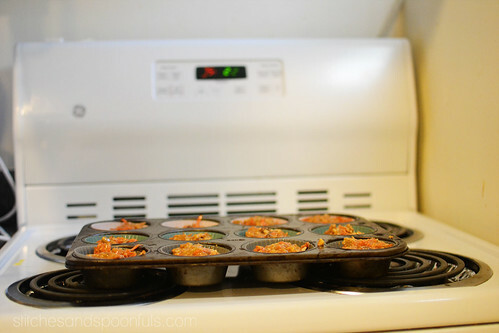 Spoon batter into lined muffin tin and bake in preheated oven for 20-25 minutes, or until tops are browned and a toothpick inserted into the centre of a muffin comes out clean. Enjoy! Let me know if you decide to try them out. Next Post 4/52: For her (of course). Thanks! Morning glory is one of my favourite kinds of muffin… let me know what you think if you end up making them! Those look yummy. I love the muffin cups! I wonder if that recipe will work without the raisins? I’ve never tried them without the raisins, but I imagine you could omit them altogether if you don’t mind a slightly different texture. Otherwise you could try replacing them with another dried fruit. Cranberries or currants would be the closest alternatives, I think, if those are more your taste.